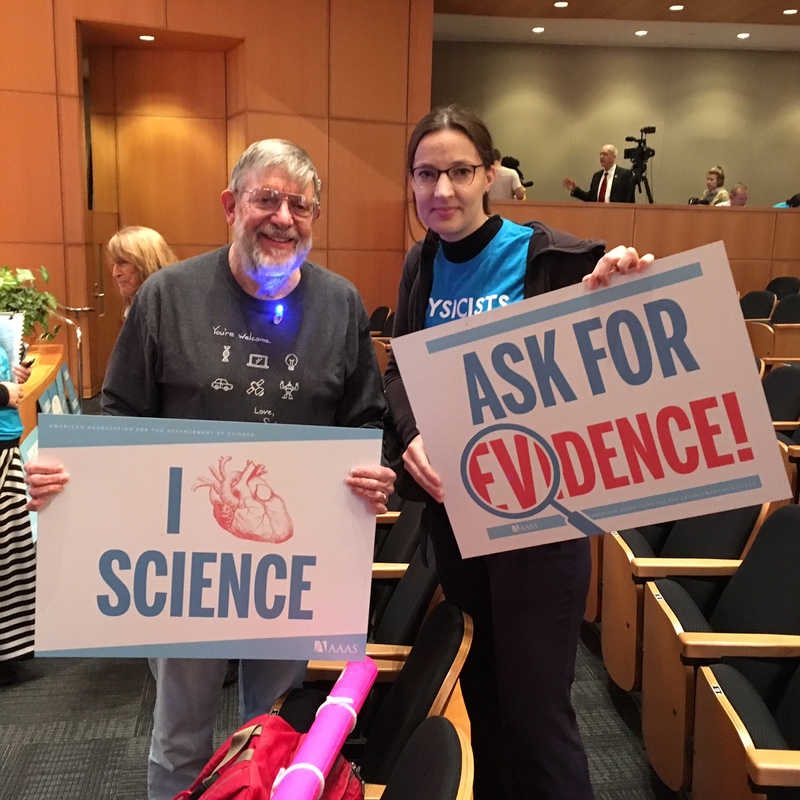 Thousands of scientists protested in Washington, DC, and over 600 other cities on six continents on Saturday, 22 April 2017, to voice support for science, with calls for evidence-based public policy and increased funding for scientific research. The rally of the March for Science in DC, which was supported by more than 100 scientific organizations and advocates, started at 10 am with a four-hour rally of speeches and musical performances on the grounds of the Washington Monument, with its main stage facing the White House. During the rally an overwhelming large number of speakers like Bill Nye (American science educator and television presenter), Megan Smith (Former U.S. Chief Technology Officer), Rush Holt (CEO, American Association for the Advancement of Science (AAAS)), Rachel Kyte, (CEO and Special Representative to the UN Secretary-General for Sustainable Energy for All), Leland Melvin (astronaut and S.T.E.A.M. 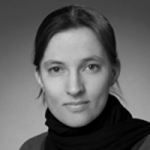 explorer) and many more stressed the importance of science and evidence-based public policy. After the rally, the crowd – organisers received a permit for up to 75,000 people – marched down Constitution Avenue to the foot of Capitol Hill at 2 pm. 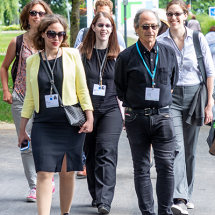 Some people wore lab coats; others pink, knitted “brain” hats, but almost everyone was carrying a self-made sign with statements like “In peer review we trust”, “The oceans are rising, and so are we” or “There is no planet B”. Besides being one of the largest protests for science in US history in Washington, DC, the March for Science was also a huge celebration of science and the difference it makes for all of us. ‘More mitosis, less division!’ was one of the key messages put forward by the more than 15,000 science enthusiasts that gathered in San Francisco. This nerdy reference to the molecular process in which the genetic material of a cell is duplicated and orderly passed on to its daughter cells beautifully highlighted that the crowd did not intend to further divide the public in already tumultuous times. In fact, their main demand simply was that politics and policies must be based on proven facts, rather than mere belief. 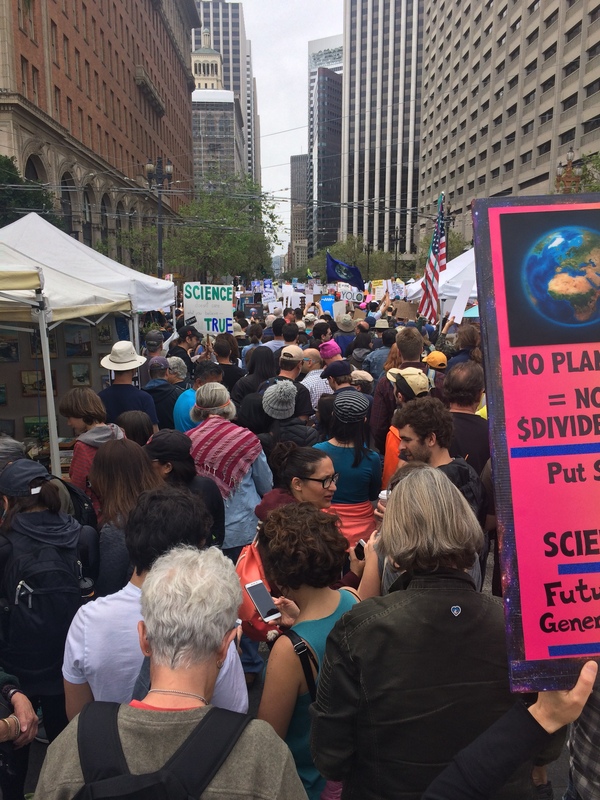 The very same message was echoed by marches throughout the Bay Area, including San Jose and Santa Cruz, where another estimated 15,000 people spoke up for science, immigration and protection of the environment. 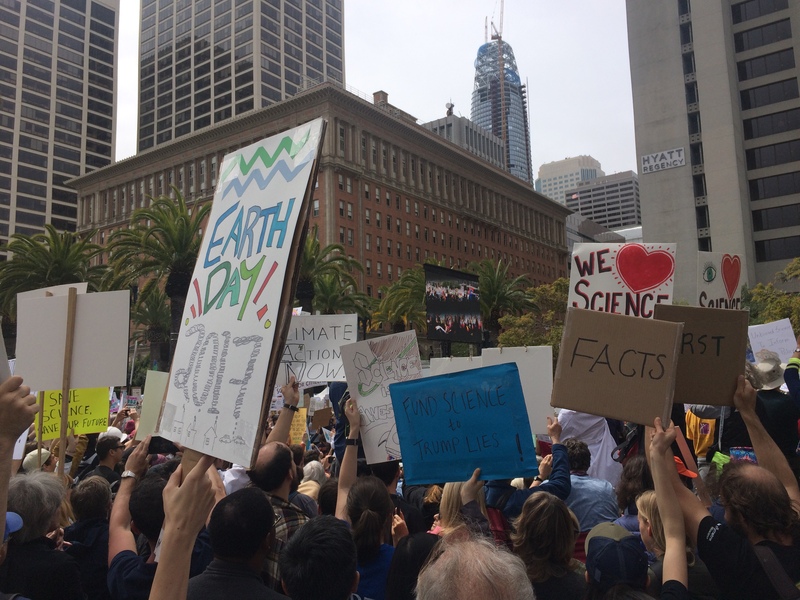 In addition to the rallies and fairs that were part of the marches and featured a diverse mix of Nobel Laureates, aspiring young investigators and prominent science advocates from TV, many local scientific institutions such as the renowned University of California San Francisco (UCSF) opened their doors for additional public events. 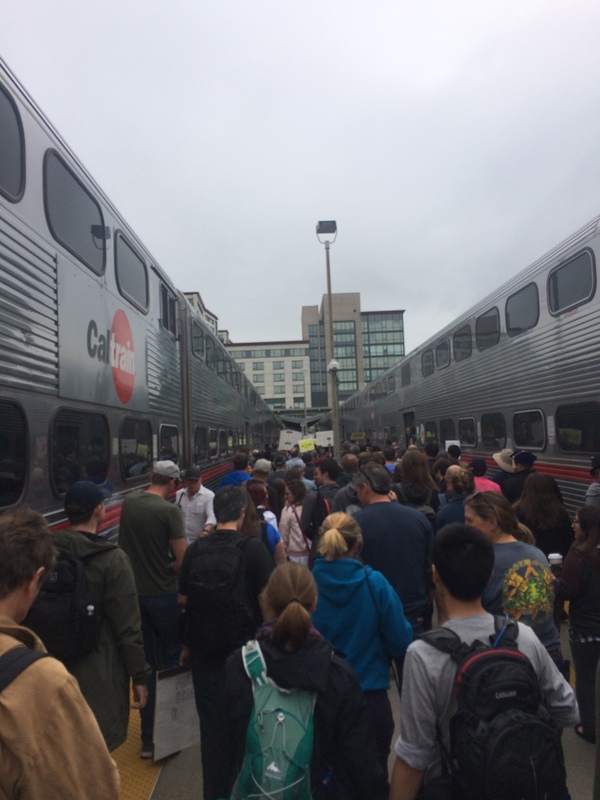 Hundreds of scientists of all ages and career stages from nearby Stanford University already started their march on the CalTrain, and engaged with the public en route to San Francisco or San Jose. 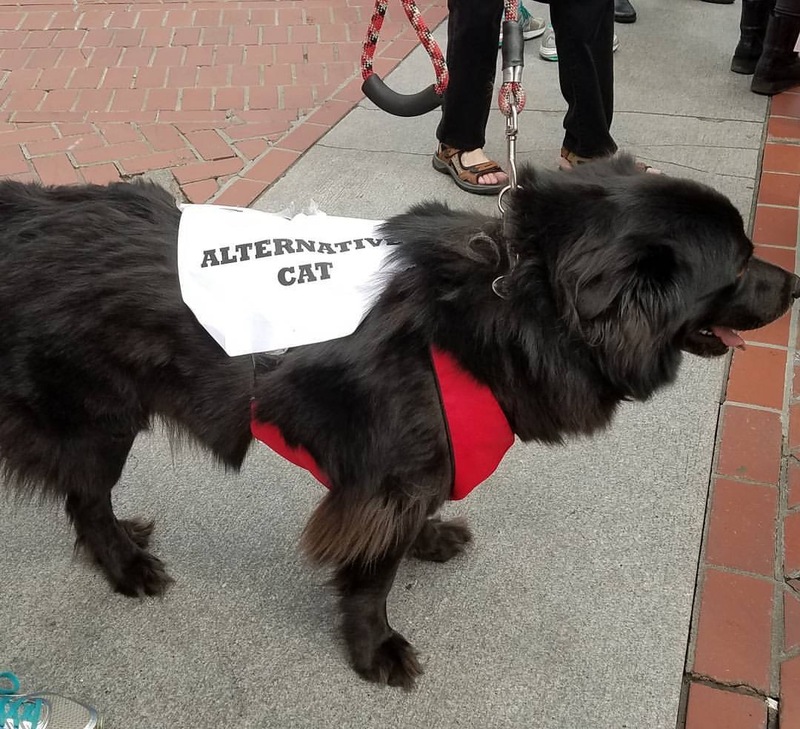 All in all, the Bay Area enthusiastically celebrated science on its streets, peacefully bringing together scientists and their families, friends and pets – even some alternative cats were spotted! The March for Science in DC was organised shortly after US President Donald Trump’s inauguration in January, largely in response to widespread alarm about his administration’s attitude towards science. Trump has repeatedly called global warming a “hoax” and promised to roll back numerous environmental protection laws, whose importance was only recently stressed by several Nobel Laureates in a common statement, the Mainau Declaration 2015 on Climate Change. 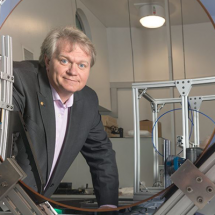 Furthermore, in March, the White House released a budget proposal that included double-digit cuts to agencies such as the Environmental Protection Agency (EPA) and the National Institutes of Health (NIH). According to this proposal the NIH funding would be cut by 18 percent, to $25.9 billion, making it one of the hardest-hit research agencies. This cut would undermine the fiscal stability of US universities and medical schools, many of which depend on NIH funding, and it would therefore diminish opportunities to discover new ways to prevent and treat diseases. On Saturday, 22 April 2017, scientists and science enthusiasts worldwide raised their voices and spoke up for science. Although the March for Science is over, it may be only the beginning of a new worldwide movement for sciences. To help scientists to tell their stories and to engage and educate, AAAS put in place a very helpful Advocacy Toolkit. Also, the organisers of the march for science extend their activism for science beyond the march. Currently, they are planning to build an organisation centered on informed advocacy, community building, and accessible education and aim to create new programmes and scale existing programmes to improve the relationship between science and society. 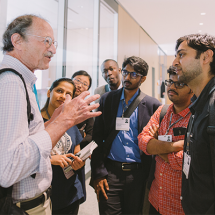 Extend your activism as well and become an active advocate for science in your community and beyond. Let’s stand up for science!